Is that your reaction to the latest ingredient in our success soup? Or is it fear? Or you just turn the other way due to your lack of understanding. Many years ago, I was in a senior staff meeting with Bob Crandall and all of his direct reports and their direct reports. It was a very memorable day for me, because the business venture that I was responsible was abruptly closed down after 3 years of investment spending by AMR Corporation, then the parent of both American Airlines and Sabre. In financial parlance, we were short on "P" and long on "L". A financial statement (known as the P&L) measures a company's financial performance over a specific accounting period. For those who know nothing about financial statements, the P stands for Profit and the L stands for Loss. And LOSS is not an ingredient in success soup. While there are many intricacies to finance, what is important is that at the end of the day (or the quarter or the year), you need to make more than you spend. Pretty simple stuff actually. "If you don't know your numbers, you don't know your business. And if you don't know your business, you can't work for me.". The female executive left the room crying, which was NOT her normal modus operandi. But she had failed to deliver what he expected -- a basic understanding of the numbers that were the drivers of the business. A few blogs ago, I wrote about Key Performance Indicators when I talked about Benchmarking. When I model a new business, one of the first things that I do before entering a single number on a spreadsheet, is to set up the Major Categories and Sub Categories down the left hand side of the spreadsheet and then copy the first two columns of the spreadsheet into a Word document. Then, I use the second (blank) column to write down the assumptions, including the things that drive the various elements of the P&L. On the Profit & Loss Statement, there are two major sections: Revenues and Expenses. Depending on your type and the complexity of your business, you may also have Cost of Sales (those expenses directly related to the sale of a product or service). Cost of Sales follows Revenues and the net of the two numbers is your Net Revenues, also known as Gross Income. That means the amount of money that you make before your operating (and capital) expenses. Some companies then net out their selling expenses and come up with Operating Income. 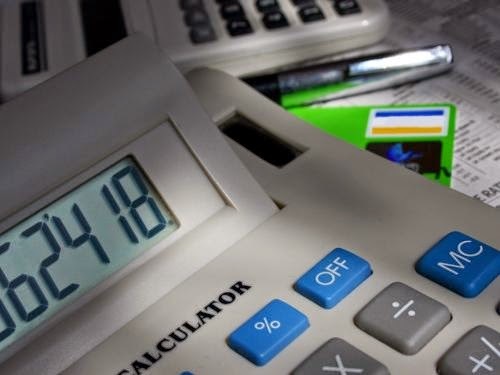 Expenses are generally broken down into General and Administrative, Human Resources (HR) related expenses, then those expenses relating to each major discipline (e.g. Marketing, IT, Sales, Product Development, etc.). When you take your Gross Profit and subtract your expenses, you are left with your Earnings (before taxes and depreciation). You have also heard this called EBITDA, or earnings before income tax, depreciation and amortization. After the adjustments for tax, depreciation and amortization (usually done by your CPA or Controller in a small business) is your Net Income after tax. It is that last number that is essential, as if you continue operating your business without a positive number in that column, then you continually have to invest more money in the business to stay afloat. There is so much more that we could talk about here (capital and cash flow, as well as the elements of the balance sheet), but the bottom line (literally) is that if you don't know your numbers, you'd better have someone at your side that does. There are many great resources to learn the basics of finance, including courses in finance for the non-financial executive (generally 3-4 days). The AMA has a very good one and many universities, such as Wharton also offer these courses. If you work for a firm that values ongoing executive education, they may even pay for the course. If you are an entrepreneur, check to see if there is a business incubator in your community. Quite often there are workshops and resources available to you for encouragement and for coaching. There is an old saying that money makes the world go around. Don't let them fool you. It is profit that keeps the world turning. Make sure you have some. Better yet, that you have a lot. Tomorrow's success soup ingredient is GIVING BACK.